In order to use my new Atomic Workstation for real, I need to be able to build things locally, including creating flatpaks. 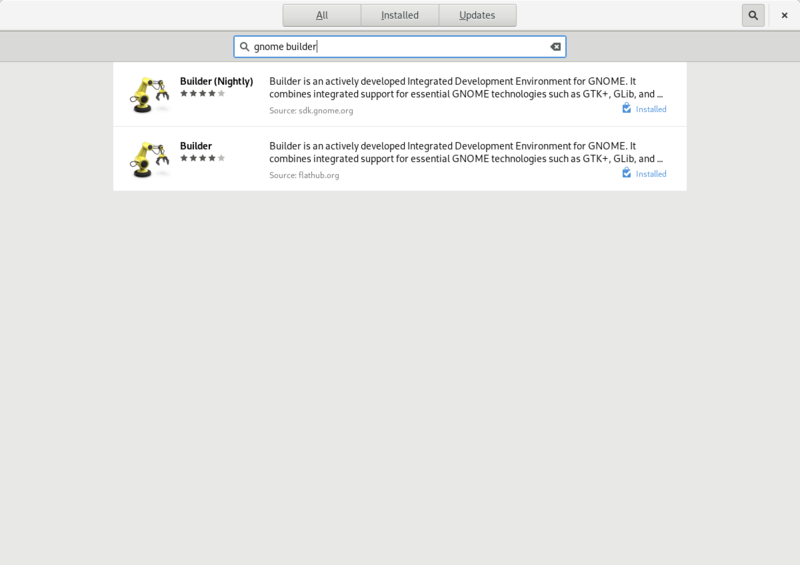 One of the best tools for the job (building flatpaks) is GNOME builder. I had already installed the stable build from flathub, but Christian told me that the nightly build is way better for flatpak building, so I went to install it from here. This highlights one of the nice aspects of flatpak: it is fundamentally decentralized. While flathub serves as a convenient one-stop-shop for many apps, it is entirely possible to have other remotes. Flathub is not privileged at all. 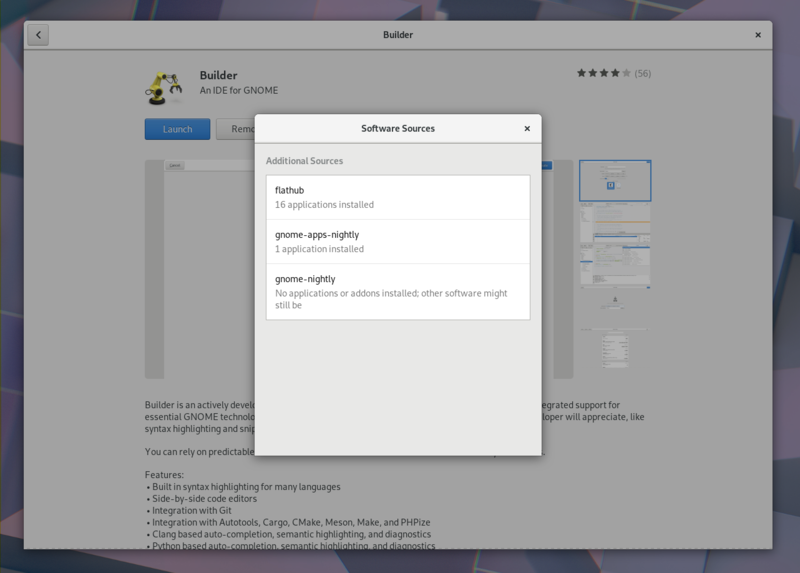 It is also perfectly possible to have both the stable gnome-builder from flathub and the nightly installed at the same time. After quite a bit of head-scratching and debugging, we determined that this happens because flatpak is doing builds in a sandbox as well, and it is replacing /var with its own bind mount to do so. 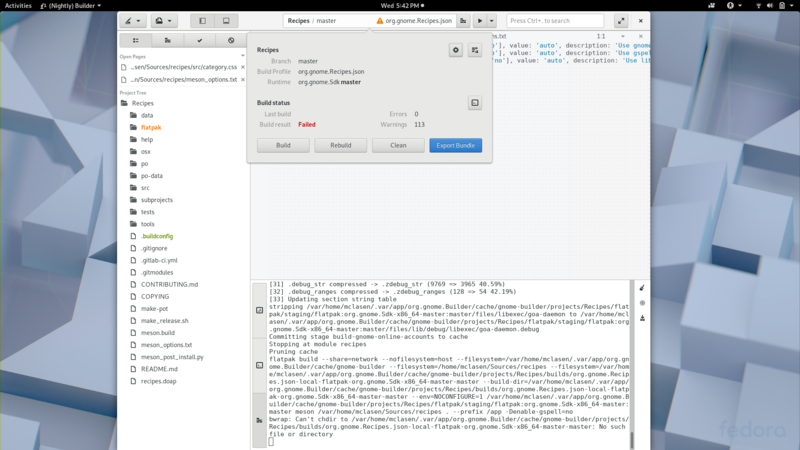 This creates a bit of confusion with the /home -> /var/home symlink that is part of the Atomic Workstation image. We are still trying to determine the best fix for this, you can follow along in this issue. Since I am going to travel soon, I can’t wait for the official fix, so I came up with a workaround: Remove the /home -> /var/home symlink, create a regular /home directory in its place, and change /etc/fstab to mount my home partition there instead of /var/home. One reason why this is ugly is that I am modifying the supposedly immutable OS image. How ? By removing the immutable attribute with chattr -i /. Another reason why it is ugly is that this has to be repeated everytime a new image gets installed (regardless whether it is via an update or via package layering). But, with this workaround in place, there is no longer a troublesome symlink to cause trouble for flatpak, and my build succeeds. 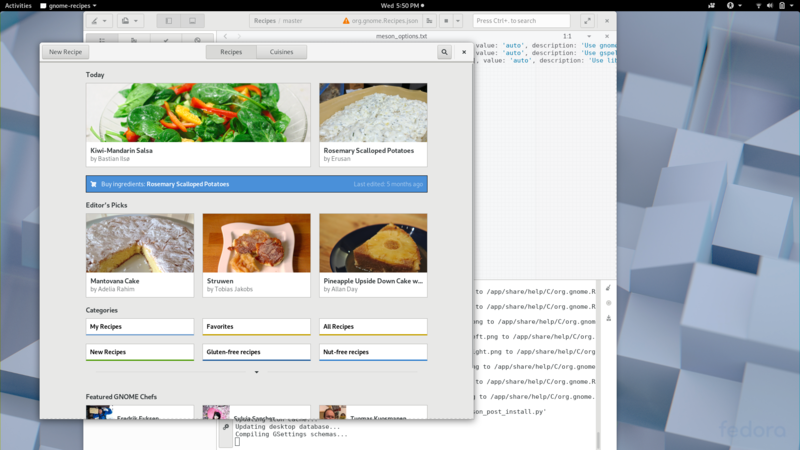 Once it is built, I can run the recipes flatpak with one click on the play button in builder. Neat! I am almost ready to take Atomic Workstation on the road. Thanks for the write up. Its great to see everything in the immutable world slowly come together. Any suggestions on how to handle non-dev CLI tools under Atomic Workstation? Is docker container the only way to go?